Last night, Miguel Olivo bit teammate Alex Guerrero's ear during a dugout fight at an Albuquerque Isotopes game. 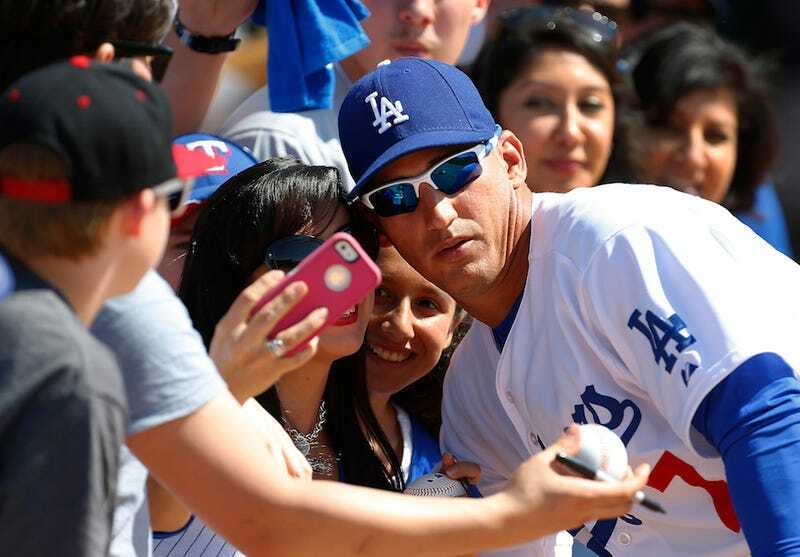 Olivo has been removed from the roster while the Dodgers investigate the incident. Meanwhile, Guerrero may miss some significant time. Guerrero required surgery hours after having part of his ear bitten off, and could need up to five weeks for recovery. As for Olivo, the catcher's been suspended on the Isotopes' roster until "the completion of an investigation." Last night, the possibility of criminal charges against Olivo came up, but Guerrero has decided not to file a police complaint.